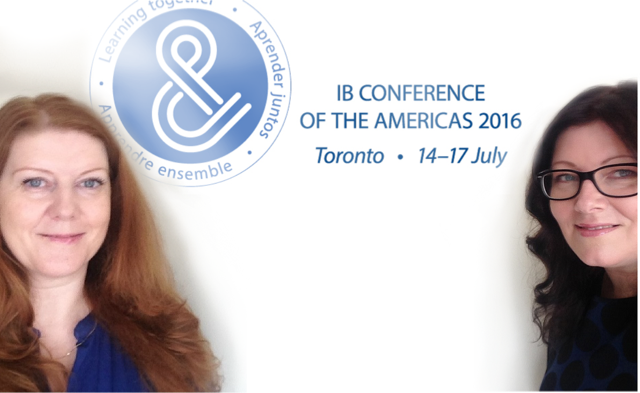 Last month, we travelled to Toronto to attend the IB Conference of the Americas. It was a truly wonderful event and gave us the opportunity to share our Institute and our work with other high-quality educators from around the world. When I look at the great challenges of our time, I know that indigenous communities, marginalised communities, have something to offer as we struggle to meet these challenges. Sometimes we call it the ‘global war on terrorism.’ So how are we going to respond to that? Remember when Sitting Bull said, ‘In order for there to be peace, it is not necessary that eagles become crows.’ Keep in mind he spoke these words during the Indian War when the US cavalry was hunting the women and children of his nation. So even in the midst of an armed conflict, he still saw fit to recognise the humanity of the people on the other side of the equation. When we talk about the environment, to me it surely seems like the people who know the Earth is our Mother, who know the animals and plants around us are our relatives, would have something to offer-might have some ideas on how to build a more meaningful, sustainable society. And when we talk about the challenge of migration, it seems to me that people who greeted newcomers generations ago, to have that trust betrayed and yet still stand with their hand extended saying, ‘let us build a good relationship,’ might have a thing or two to offer to that conversation about responding to migration and accommodating differences to build a pluralistic society together. While he shared personal stories about his father’s struggles as a result of being a survivor of the residential school movement, he emphasised the importance of education and how the youth of today can make an impact in repairing the damage to their culture and people while contributing in meaningful ways. Helping individuals remain close to their languages and cultures allows them to participate as bi-cultural citizens which only enrich society as-a-whole. This was a very profound talk which resonated deeply with our beliefs and our work. 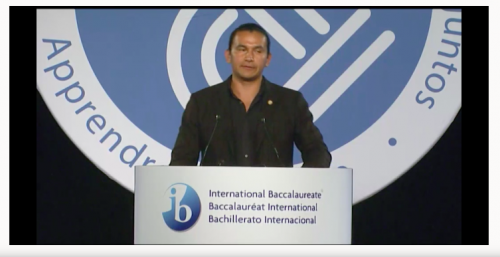 You can watch Wab Kinew’s talk along with some of the other keynote speakers from the IB Conference of the America’s HERE.